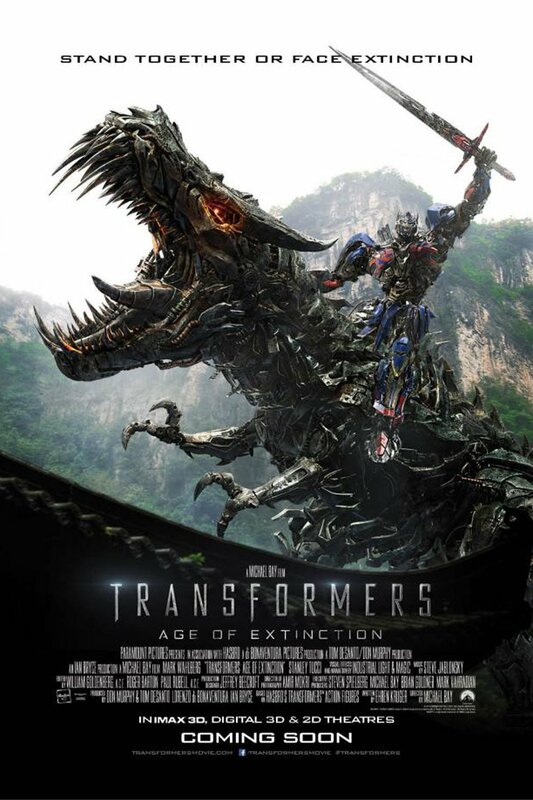 Did anyone saw the movie Transformer 4: Age of Extinction? This movie was epic. The visual effects and the massive destructive with a plot should get an nominated for best visual effects again. Anyway, the plot, the father is a robotic engineer mechanic. He fixes an 8-track players and VCRs to make a living with his daughter. In which his daughter did not know what was an 8-track and a VCR, way beyond her teen years. He made one robot that would deliver beer, but it had a conscious and did not give him one. He finds a truck that crashed into a theater. What was a truck doing in a theater anyway? If a truck crashes into our movie hall, it had better get a renovation and possible many upgrades. Or, was it a bad review, when it crashed into a theater. It was Optimus Prime out of commission and dad reactivated Optimus Prime with jumper cables to a car battery. Way cool. At the meantime, a powerful, ingenious executives and a group of scientists attempt to learn from past Transformer incursions and push the boundaries of technology beyond what they can control. More transformers robots. The screenplay is written by Ehren Kruger, who served as screenwriter for Transformers: Revenge of the Fallen. The music score is done by Steve Jablonsky especially Bawwng noise. This is the first film in the series to feature an entirely new cast of human characters and the first to feature the Dinobots. Returning Transformers include Optimus Prime, Bumblebee, Ratchet, and Brains. A sequel to Transformers: Dark of the Moon, the film takes place four years after the invasion of Chicago. Like its predecessors, the film is directed by Michael Bay and executive produced by Steven Spielberg. Shia LaBeouf would not be in this film Mark Walberg replaced him. Shia got arrested for misconduct and he’s working on other film projects. There were rumors who will replace the director Michael Bay, they were numerous directors who wanted to director, but Michael Bay end up to directing the latest Transformer movie. If this movie becomes successful, will it become another sequel? You have to remember giants Robots do not age. People do. A possible fifth? When I was watching the movie, I’ve notice there were young children below at the age 10 years old watching the movie. Is this appropriate for younger children to watch it, because of its graphic violence image content in the movie? Don’t bring children below at the age of 10 to the movie, they will get bored with the action. Trust me. Rent from Netflix or watch Frozen for the 100 time.